NEW YORK (AP) — A New York City-bound Amtrak train became disabled on the night before Thanksgiving, one of the busiest travel days of the year, when two of its cars separated. There were no reports of injuries. 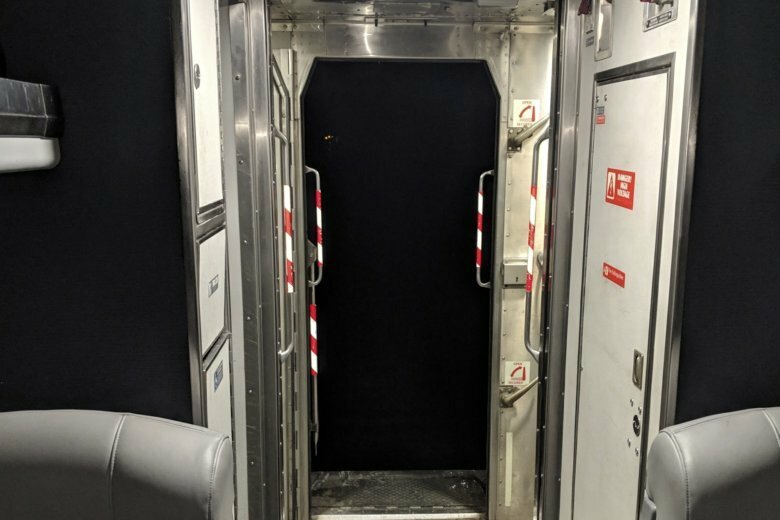 Train 68, called the Adirondack, was heading from Montreal, when the train experienced what Amtrak called a “mechanical issue” just before 7:30 p.m. near Albany, New York. Chuck Reeves, a software engineer from Troy, New York, was on his way to his parents’ home on Long Island for Thanksgiving and had boarded the first car behind the locomotive in Albany. Shortly after the train pulled away, he said, he and other passengers heard a pop and a hiss, smelled electrical burning, and felt a rush of cold air. “Everyone started turning around,” he said, only to see there was no more train behind them. The train soon slowed to a stop, and a conductor left the detached cars behind and boarded his car. Some crying children were comforted by their parents, Reeves said, but for the most part no one panicked. A state trooper soon boarded to make sure everyone was safe. Another train was brought in to take passengers on the rest of their journey. Reeves said he opted to turn back home and have his brother drive him to his parents’ home on Thursday.